The ETs received long distance trunk calls today demanding food pictures. Well, dear Readership, I have to save them up to dole them out to you over the coming months, or you’ll just get cranky later on. A little light lunch? 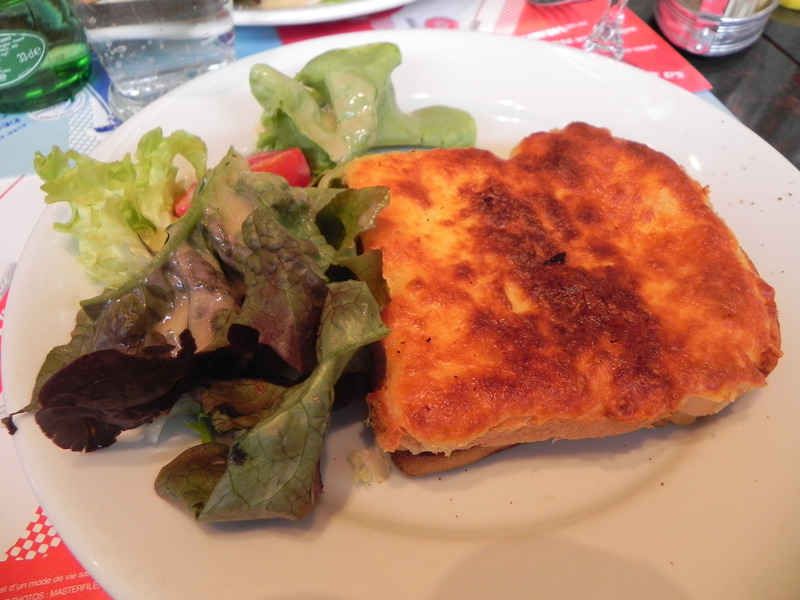 Yummy croque-monsieur from the Cafe des Deux Musees. Much better than the fare on Verona St.
Allright, enough complaining! Unlike the candidates in presidential races in France and the USA, the ETs deliver on their promises. I will disclose that we’ve had some great meals over the past few days which we’ll share in upcoming posts. Keep your napkins at the ready. Impending death by umbrella. 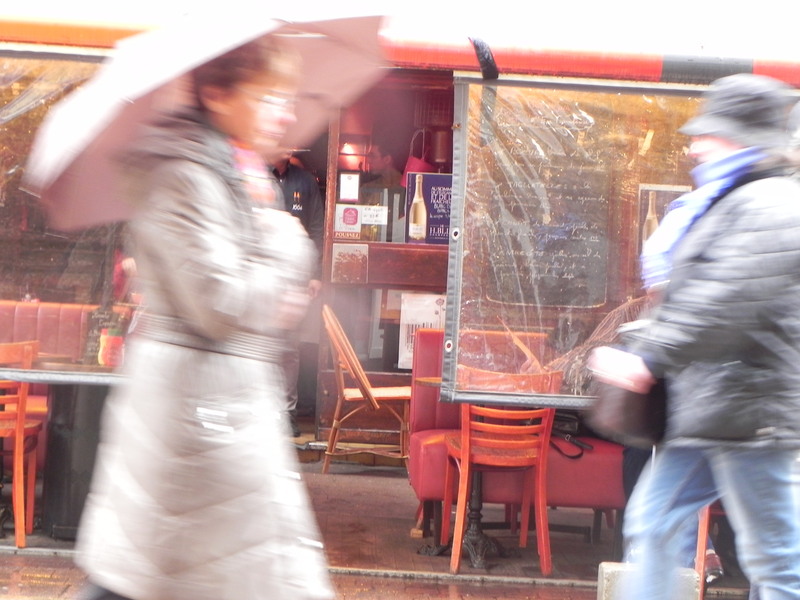 The velocity of the dangerous prongs catches even the most experienced Parisian by surprise. You will be relieved to know that the weather is marginally better so we won’t spend another post complaining about it. People in the streets are smiling because they’re no longer in danger of being impaled on some French businessman’s umbrella while he talks on his cell phone. The umbrella dance is a learned skill, particularly when one is holding it aloft over Nurse and her hotwheels. I am geting better at it. 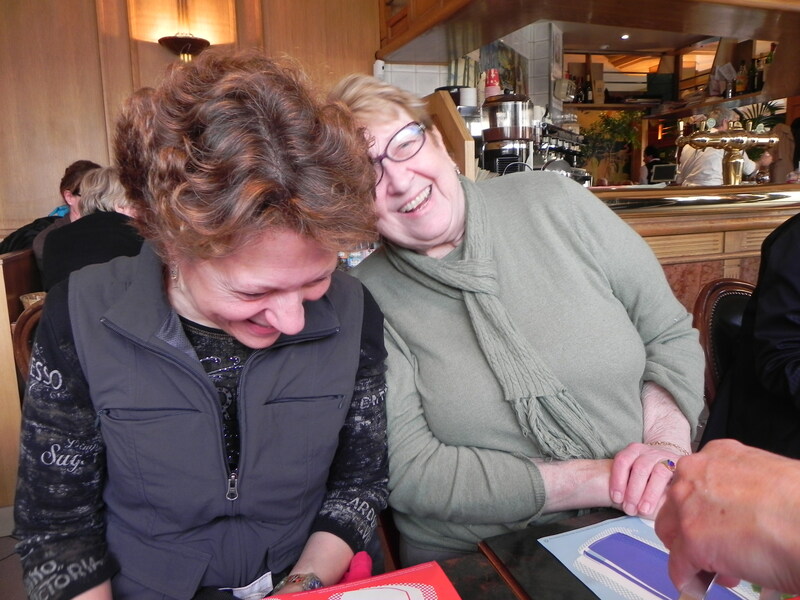 Barbara and Nurse in a cheerful mood because they dodged the umbrellas and made it to lunch. That croque-monsieur landed right in front of them a few moments later, causing more delight. We heard from our sources that Mariah Carey and her husband are here on a mad shopping spree. I wish them luck. Barbara and Chris left the Galleries Lafayette laden with bags while some very happy salesladies restored order to the shelves. 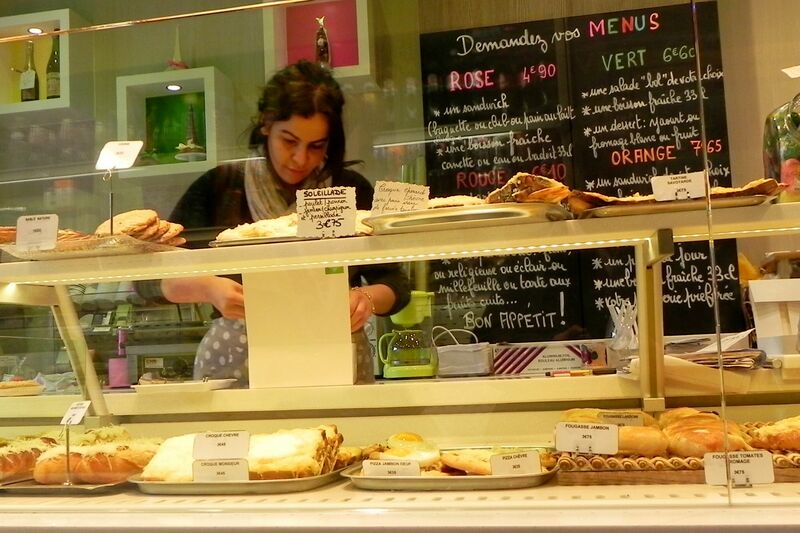 This entry was posted on April 27, 2012 at 4:42 pm and is filed under French food. You can follow any responses to this entry through the RSS 2.0 feed. You can leave a response, or trackback from your own site. Not sure about the pizza avec oeufs in that first photo. Rest sounds sensational. 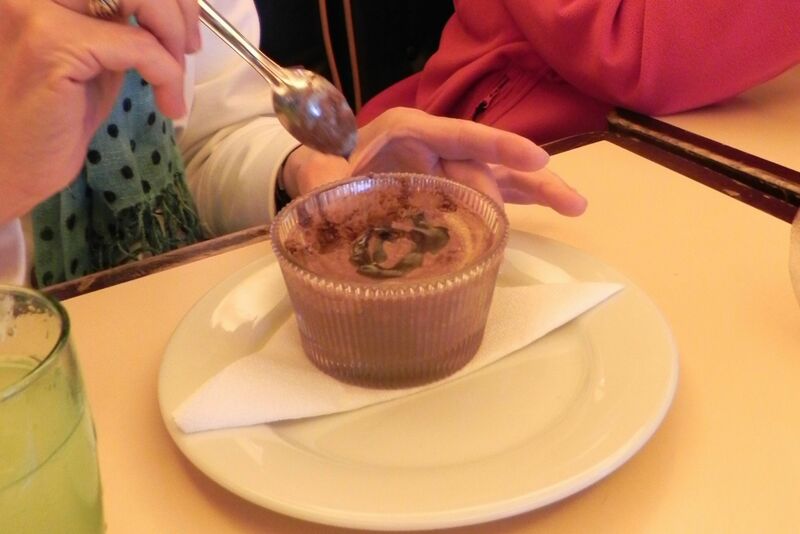 I think you should google “best choc mousse in Paris” and begin your tour from there…does urban spoon do Paris??? Please don’t forget to include the pastry pictures!